My first backward roll would change everything. Decisions about returning home suddenly disappeared as my eyes focussed on the heaving mass of marine life in front of me. Schools of fish so dense I could not catch a glimpse of whatever lay beyond. 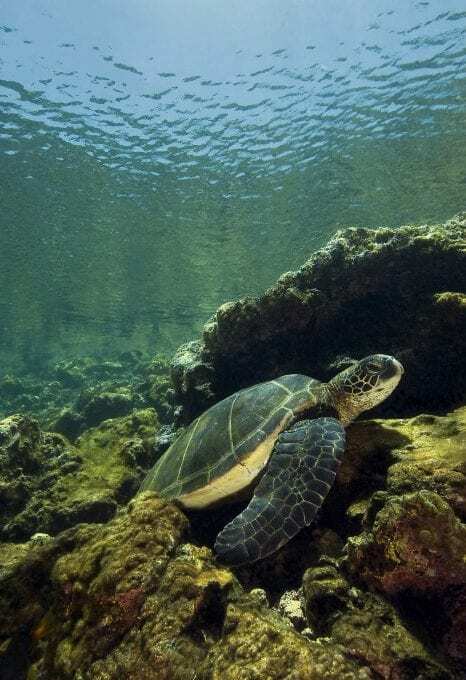 Turtles swam lazily between sea lions that darted here and there, alternately herding fish then scattering them, piercing the heart of the shoal. 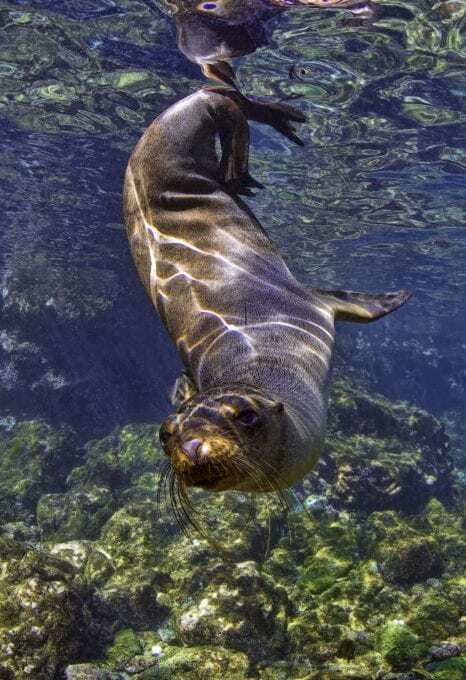 With a flick of a fin sea lions pirouetted and tumbled, so playful and curious. Sharks patrolled the blue, languid but lethal when prey was detected. Jacks, creole fish and brightly coloured moorish idols swayed with the swell. Parrotfish munched on coral heads beneath red clouds of cardinal fish. The experience was like nothing I had encountered before. I had regularly dived the temperate waters of coastal Britain – beautiful in a different way – but this was something else. The adrenalin rush was unbelievable. I was hooked. Addicted. Then I saw my first whale shark. Swept out into the blue water off the volcanic platform of Darwin Arch – and whilst carrying out a routine safety stop – an enormous shadow loomed over me. I watched in awe as the world’s largest fish (species rather than individual!) finned toward me, passing just metres away. The only indication that it was aware of my presence was the rolling of an eye in my direction. Otherwise, it was unfazed. One minute it was there eclipsing everything in sight, and then it was gone. Parrotfish munched on coral heads beneath red clouds of cardinal fish. Although perhaps an insignificant encounter for the whale shark, the moment was pivotal for me. 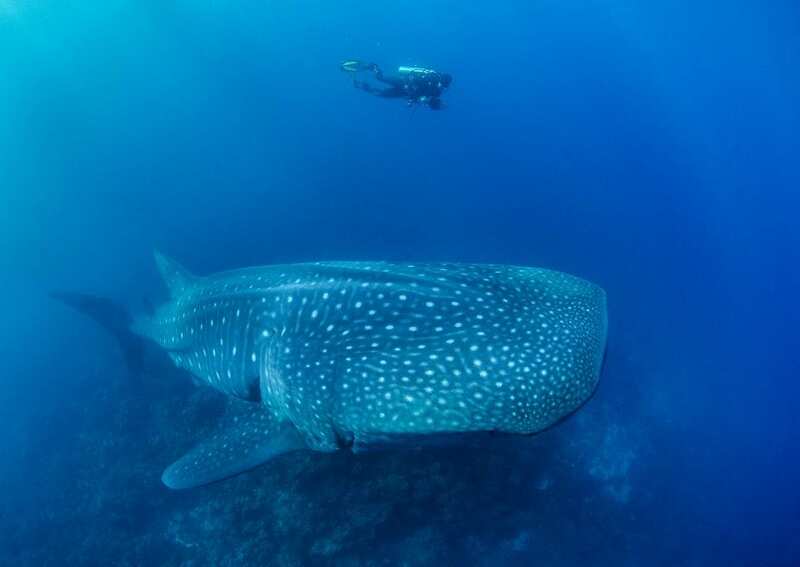 My curiosity turned to study, which later led to the creation of the Galapagos Whale Shark Project (GWSP). 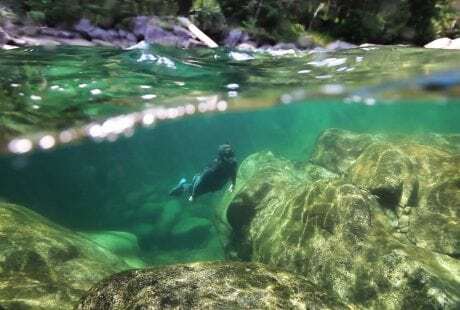 For the past 20 years, GWSP (made up of both professional scientists and volunteers) has been piecing together part of a puzzle that spans this blue planet’s vast ocean. 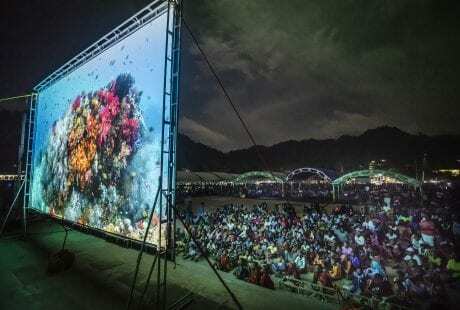 From the month of June until late November a parade of these giants passes by the eroded remains of a very small volcanic cone outcrop – Darwin Island and its now world-famous Darwin Arch, situated at the north of the Galapagos Archipelago. Why the sharks come here in their hundreds (maybe thousands) remains a mystery. Nearly all are mature, longer than 10 metres, females. They spend little time in the area, usually no more than 48-72 hours before resuming their journey, often north and west into and along the rugged Galapagos Rift System Valley that marks the boundary between the massive oceanic plates of Cocos to the north and Nazca to the south, on which the Galapagos Islands are located. They come here not to eat, for they are usually seen with mouths closed. Many appear to have distended bellies, but so far the study has failed to find the evidence to confirm pregnancy. The reason must be related in some manner to their reproductive cycle but whale sharks guard their secrets closely. Whatever that reason is, Darwin seems to hold the key. Only further investigation might provide us with the answers we so desperately seek if we are to afford them protection, as individuals and as a species, on their ocean-wide travels. Historically, the Galapagos Islands are connected in most people’s minds with natural selection and evolutionary processes. Charles Darwin, during his visit on board HMS Beagle in 1835, could only wonder about much of the life beneath the waves. Although an avid naturalist and father of the theory of evolution, most of his work was focussed on terrestrial species. 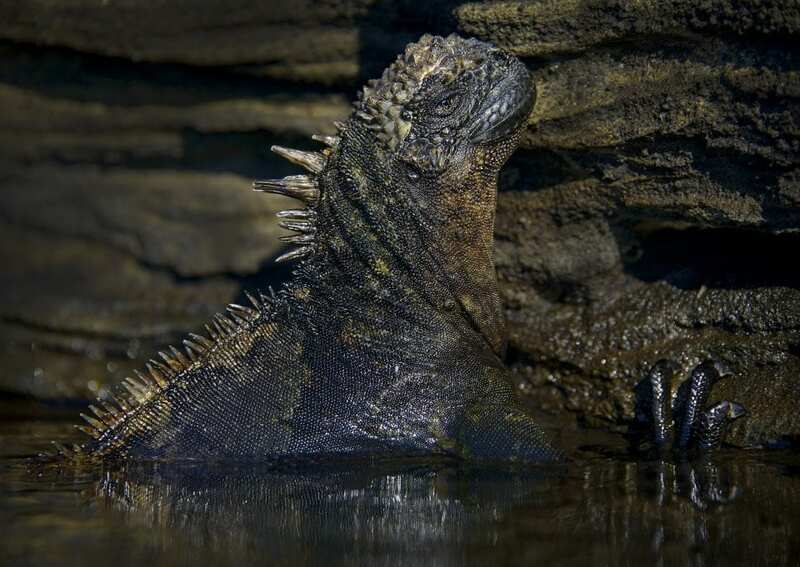 Immersing oneself in the waters around the Galapagos Islands brings an equal or greater wonder as visits with giant tortoises, land iguanas and blue footed boobies on land. Many appear to have distended bellies, but so far the study has failed to find the evidence to confirm pregnancy. The diversity of life around these apparently barren islands is a consequence of geographical location and ocean currents. The islands are swept by powerful and frigid currents that originate in Antarctica and warm tropical currents that flood in from Central America. This mixture of hot and cold not only serves as a conveyor belt of lifeforms but also as a cauldron of biological richness that provides the primary productivity that fuels species from the bottom to the very top of the food chain. The first divers to visit the Galapagos were early scientists. William Beebe of “World’s End” fame carried out numerous dives during his expedition on the Arcturusin 1925, discovering many species new to science. Subsequently, international lobster fishing fleets in the late 1960s and 70s exploited the islands, a fishery that became more locally based in the 1980s. Much of the early dive tourism was based on information from the lobster hookah divers who knew the waters surrounding the inhabited islands intimately. They had also explored some of the outlying islands, such as Isabela and Fernandina – and even Wolf and Darwin. My personal experience began in 1988, by which time most dive trips lasted fifteen days to encompass the most diverse areas and wildlife. During this time we spent some days exploring, looking for seamounts, just dropping in to coastal areas to see what we could find. Often we found nothing exceptional, but on occasions we found places that had never truly been explored and are now principal dive sites. We encountered giant manta rays, Galapagos penguins and marine iguanas. Huge sunfish, red-lipped batfish and flightless cormorants, too. Much of the early dive tourism was based on information from lobster hookah divers who knew the waters intimately. It is a journey into the past, a chance to see what our ocean was like before the industrial fishing era. But it is not just the diversity of life that makes these islands special, it is also the density of it. 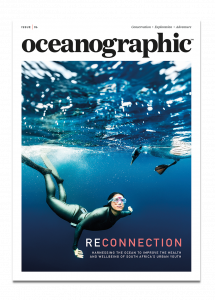 Diving in the Galapagos is a journey into the past, a chance to see what our ocean was like before the industrial fishing era rendered so many parts of our blue planet lifeless. To encounter more than 500 sharks in a single dive is not uncommon. Safety stops are often in the company of bottlenose dolphins, whilst seabirds such as juvenile Nazca boobies float on the surface above. 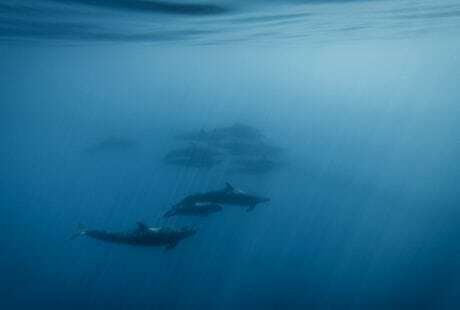 The Galapagos Marine Reserve, established as a Marine Protected Area in 1998 and covering more than 130,000 square kilometres, is helping to preserve the diversity and density of life in the area. 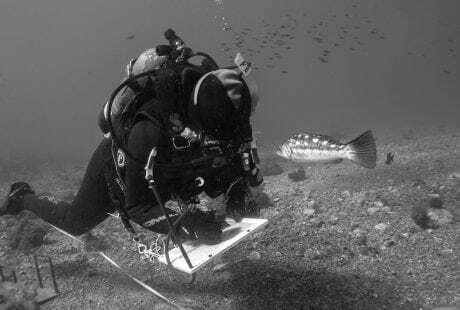 Divers and dive operators continue to play an important role in the preservation of the area’s marine life, both through tourism spend and presence – dive liveaboard vessels help patrol and report illegal activities to the authorities. Divers also regularly remove fishing artefacts, long lines and ‘fish attraction devices’, as well as plastic rubbish. They also submit data regarding unusual sightings and images – valuable information for marine scientists and organisations working hard to better understand and preserve this special and ancient place. Galapagos is the lost valley of the dinosaurs. It is a vision of what our blue planet once was, and what we should strive to return it to.